Our goal is to have as many parents attend our meetings as possible. This year we are trying something new and have created meeting dates on different evenings as well as during the day! 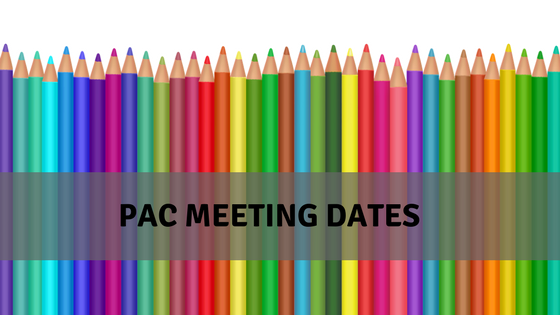 It important to communicate that your PAC which stands for Parent Advisory Council, is your parent voice and every parent at the school is a member of our PAC and you have a voice!